Founded in Berlin 18 years ago, idealo’s mission is to help users make the best buying decisions. 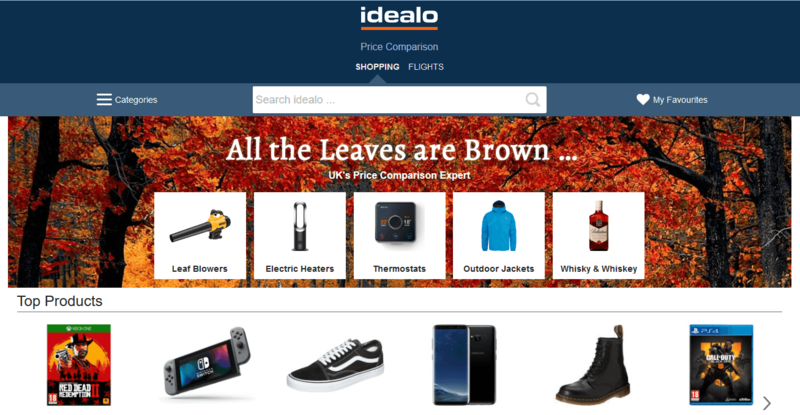 Today, idealo is Europe’s leading price comparison platform and one of the largest websites in the German e-commerce market with more than 1.3 million page views a day, around 50,000 shops and over 330 million offers. They are also present in Austria, UK, Spain, France and Italy. To take the business to the next level, idealo wanted to provide their merchants the full overview from click to conversion. idealo searched for a tracking technology, which offered a granular level of customisation to empower merchants to track any variables they need (e.g. amount of sales, conversion rates, product sold). With Ingenious tracking, merchants are able to activate basket tracking, enabling them to receive all items purchased by customers that were brought by idealo. The data available in the shopping basket of the customer includes the name, ID, brand, shopping category, the number and the price of the products ordered. Having this additional data available opens up many more possibilities for idealo’s merchants to analyse marketing performance on a granular level, enabling them to steer and optimise their digital strategy for more sales. Although many merchants had their own tracking solutions and data sets, idealo wanted to offer the opportunity that merchants enrich their data and analysis for an optimised performance overview. Using the Ingenious platform, idealo offers performance data standardisation and increased transparency through a private network solution, even providing merchants with their own user accounts. Over 800 retailers are integrated to date, and are empowered to define and track their own KPIs (e.g. conversion rate, revenue, basket content). Through a dedicated user interface each retailer can retrieve, filter and export the relevant data for their own analysis. Working with Ingenious has equipped idealo with comparable and standardised data that allows them to advise merchants on a far more strategic level in order to optimise the business together. The accepted price comparison portal business model works historically on a cost-per-click (CPC) commission basis. However there are a number of merchants who want to extend this with a cost-per-order (CPO) dimension or other condition models. With the Ingenious platform, idealo offers the flexibility the market needs. In addition to their classic CPC business, they can better respond to the needs of the markets and merchants.